Whoa, A Student Housing Project That’s Reusing An Old Building?! A reader gave us the heads up the other day about some construction activity on the 3600 block of Spring Garden Street, a block that has somehow escaped our attention over the years. 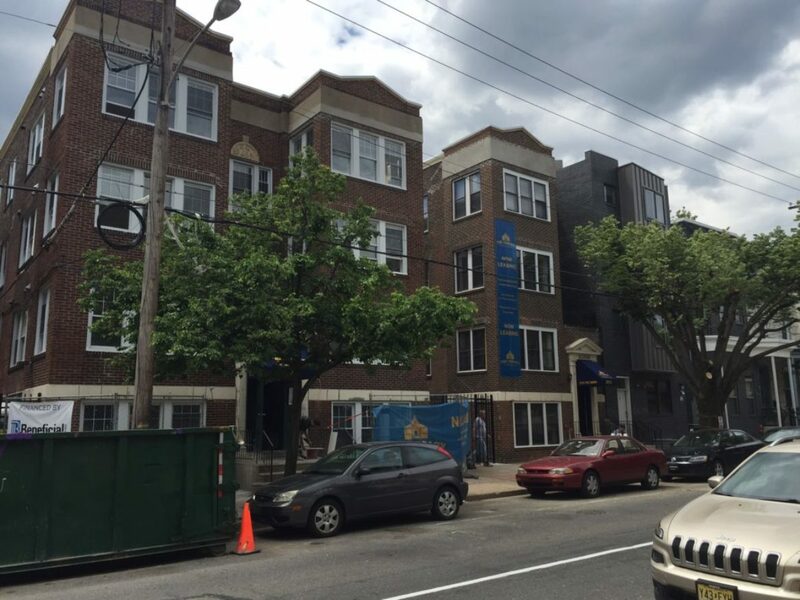 The construction we discovered was taking place at a three-building apartment complex at 3608-3612 Spring Garden St. with the name Elrae above each of the entrances. We have no doubt that these buildings have plenty of history to them but despite our best efforts we couldn't find much. Can you shed some light? Cross Properties, the same company that's building the Good Food Flats on Baring Street, bought these buildings last year and now they're in the process of renovating them into student housing apartments. They've dubbed the project the Legacy at Powelton Village and they're currently leasing units for the fall. The photos on the website and the list of amenities (outdoor firepit! hammocks! sustainable garden! central heat/air! no holes in the walls, ceilings or floors!) make us wish we were born into this lucky generation of students. Ah well. The most notable aspect of this project is that, for a change, developers are renovating an apartment complex to turn it into student housing rather than razing an existing building in the interest of getting better layouts and more units. You can see from the new building immediately next door that we could have gotten something very different at this location had the developers torn down the Elrae buildings. If you look immediately to the west to 3616 Spring Garden St., you can see another developer that at least tried to echo some of the historic architecture in the area. Of course, any of these buildings, old and new, pale in comparison to many of the homes right across the street. They certainly don't build 'em like they used to.